One of our passions at Sundance is sharing with you the riches of cultural traditions, particularly those related to the American West. 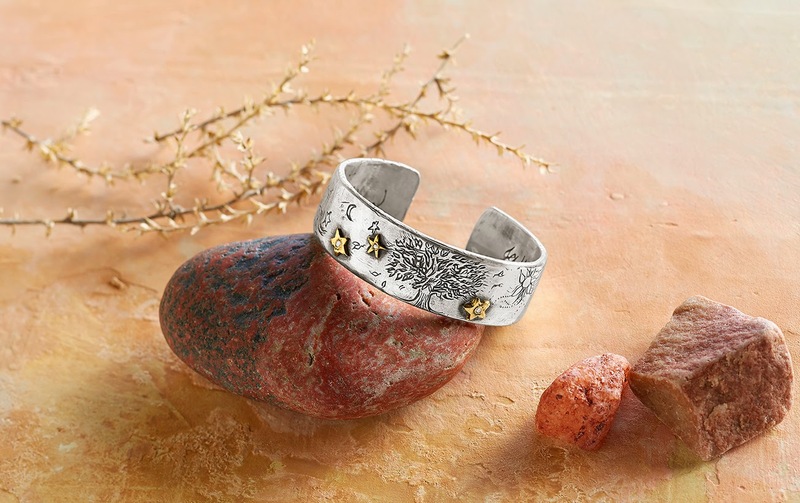 We are thrilled to offer an extraordinary selection of Native American heritage jewelry in our 25th Anniversary Collection — nearly three dozen cuffs, necklaces and money clips, each exquisite and unique. Much of the turquoise featured in these pieces was mined in Nevada and Arizona. Nevada is host to more turquoise mines than any other state in the US. From the Nevada mines comes some of the world’s finest turquoise, with romantic names like Blue Diamond, Blue Gem and Carico Lake. Additionally, the mines in Globe, Arizona, produce the beautiful Sleeping Beauty Turquoise. This remarkable Heritage Jewelry Collection is comprised of selections from two periods — vintage jewelry and new pieces crafted in traditional techniques. The vintage jewelry items are one -of-a kind pieces created from the 1930s through the 1950s, and the new pieces were made by respected Western silversmiths who have kept the Native American heritage alive by using traditional techniques and vintage materials. At Sundance, we take pride in curating exceptional collections to share the best in artisan crafts with you. We are fortunate to have a select group of vintage jewelry, handmade by artists of the Zuni and Santo Domingo pueblos during the mid-20th century. 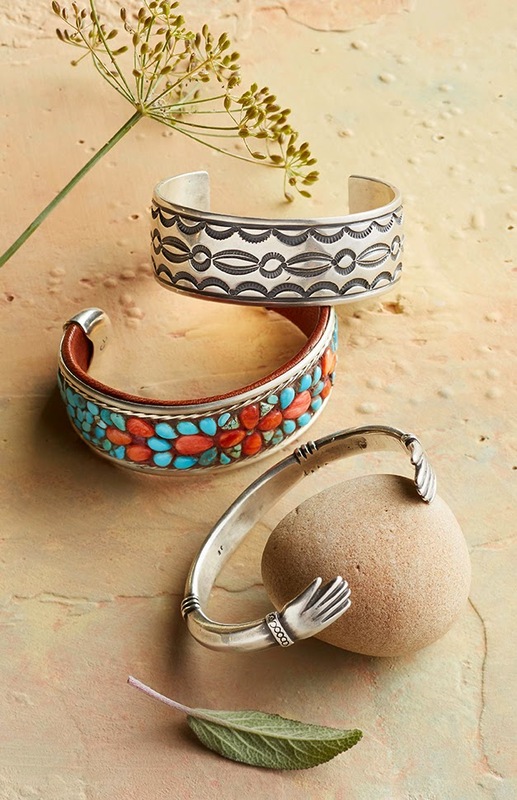 These museum-worthy pieces are crafted in sterling silver with premium turquoise and other natural gems. Our collection is ever changing. As the one-of-a-kind pieces sell, we add unique, new jewelry to take their place. We are proud to call these carefully curated pins, cuffs and necklaces thrilled to have the privilege to share them with you. Additionally, we love to support the American craftsmen who believe in creating quality works of art. Renowned silversmiths - Jock Favour, his brother Charlie Favour and Al Somers along with such acclaimed newcomers as Dennis Hogan and Jesse Robbins - have created cuffs and money clips in sterling and coin silver with vintage turquoise from storied Nevada mines. They create their artistic jewlery using techniques learned from tribal elders, such as ingot and tufa casting and hand stamping. Santo Domingo Pueblo’s Alice Lovato, whose work is prized for its exacting craftsmanship and color combinations, created a fabulous coral and turquoise 10-strand Santo Domingo Necklace just for us, in celebration of our 25th anniversary. We celebrate the incredible, timeless works of art while introducing you to the skilled artisans of today. We know you will appreciate and treasure these one-of-a-kinds as we do.